Light & Darkness Radio: Featured Today! "Dreamtale, Triosphere..."
Today I added new albums from some bands to our library one of the albums I can tell you is the powerful and amazing "Epsilon" of Dreamtale! Hope you guys keep up your requests and your support! Here's the featured bands! Triosphere (NOR) - A "must" play on L&D Radio since the beginning now after months and lots of requests from you Triosphere reached the "Featured Band" title \m/ Triosphere was formed during the fall of 2004, by former Griffin guitarist Marius Silver Bergesen, singer/bassplayer Ida Haukland and drummer Ørjan Aare Jørgensen. They soon found their second guitar player in T.O Byberg, and the lineup has remained constant ever since. Triosphere soon caught the attention of the Norwegian label Face Front who released their debut album “Onwards” in Norway during fall of 2006, and the rest of Europe in February 2007 through Plastic Head Distribution. Japanese label Spiritual Beast handled the release in Asia (November 2006) and the USA (late summer/fall 2007). “Onwards” received an average of 8,5/10 in the reviews of both the national and the international press, and got their title track included on the prestigious Rock Hard sampler which features up-and-coming artists .Triosphere again caught the attention of Rock Hard Magazine in 2009 when the magazine featured the band as one of the 20 most promising new bands worldwide in their april-issue.Furthermore, Triosphere was voted into the Top 5 Best Bands of the Year in both 2006 and 2007, and Top 10 Best Bands of the Year 2008 by the readers of the leading metal magazine in Norway,- Scream Magazine. However, the band experienced one of their most humbling moments when they received the award for Metal Album of the Year from the worlds largest independent music organization “Just Plain Folks Music Org.” in the USA, august 2009, in competition with more than 40.000 artists in all genres around the world. Triosphere have done two Norwegian tours with the legendary W.A.S.P., 2006 and 2007 respectively, and three European tours: The first one was in early 2007 with Kotipelto, Chris Caffery, Kamelot, Jorn andW.A.S.P. The second one was in late 2008 with Jorn, and finally the band toured with metal titansArch Enemy and Destruction in december 2009. In addition, Triosphere have co-headlined swiss metal festival “Metal Inferno 2008” together with Threshold and done several Norwegian festivals featuring bands and artists like Sebastian Bach, Mayhem, Evergrey, After Forever, Enslaved, Kamelot, Soilwork, Volbeat, Dimmu Borgir and one-off’s as support for DIO, amongst others. Triosphere have now completed their much anticipated second album, “The Road Less Travelled”. It was recorded in their hometown Trondheim, and mixed by one of the most experienced sound technicians in the European hard rock and metal scene; Tommy Hansen in Jailhouse Studio (Denmark). The band can’t wait to get back out on the road and bang our heads together with all of you! Freakeys (BRA) - FREAKEYS is an instrumental progressive metal band formed in Sao Paulo, Brazil, in 2006. The band was created as a one-time deal in order to record their self-titled album which was released in October of 2006. 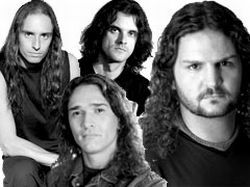 The band's members come from both ANGRA and HANGAR. The name is a combination of freak and keys, being keyboardist Fábio Laguna the album composer. The album is compared to Liquid Tension Experiment not only because of the music style, but also because all members are from a single band except one.Fábio Laguna - Keyboards, Aquiles Priester - Drums, Felipe Andreoli - Bass, Eduardo Martinez - Guitars. The album contains only instrumental music, with a very strong influence from ANGRA, HANGAR, DREAM THEATER and LIQUID TENSION EXPERIMENT. 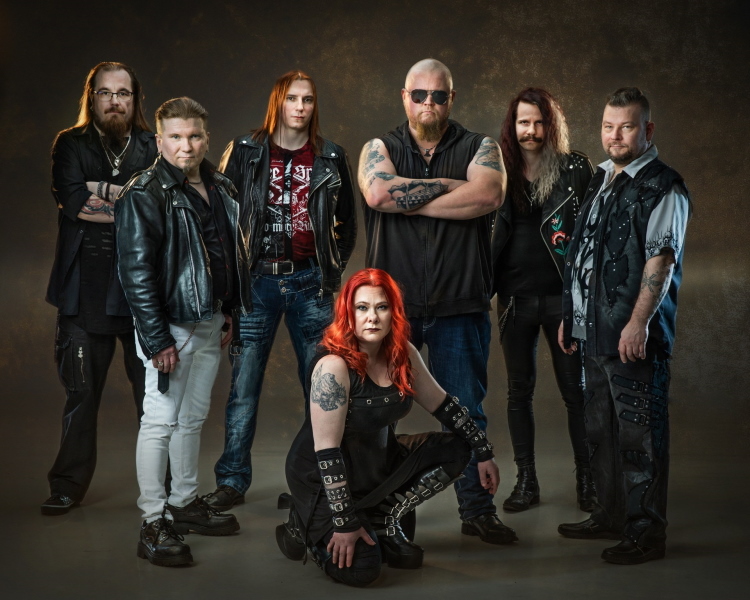 Hevein (FIN) - Hevein is a Finnish thrash metal band from Helsinki with symphonic metal/Neo-classical metal influences. Hevein was founded in 1992 by guitarist Leif Hedström and drummer Alpo Oksaharju. In 1998, bassist Tomi Koivunen and violinist Aino Piipari joined the band. In 2002, Max Lilja left Apocalyptica and joined Hevein. The band could not find a permanent vocalist until 2003, when Juha Immonen joined the band. Acording to Leif Hedström’s answer in the Hevein forum to the question: "Does Hevein mean something?" The guitarist once heard a Husker Du song, covered by Blackstar, titled ”The Girl Who Lives On Heaven Hill”. Hereupon, the words “Heaven Hill” were changed into “Heven Hill” and were altered again until the final band name “Hevein” was born. Hevein is also a Finnish word play for "the heavy-est" (in reference to heavy metal).